Construct amazingly detailed and realistic three-dimensional creations with these micro-sized building blocks. The miniature blocks connect securely to create extremely precise objects of varying size and complexity - the smaller it is, the more realistic the work becomes! 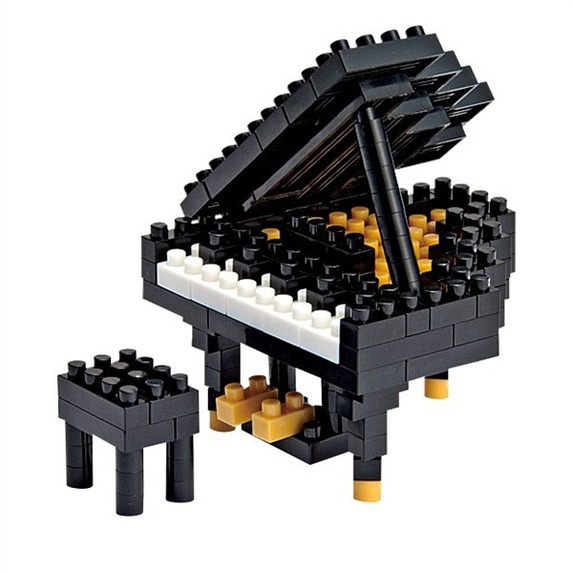 Designed in Japan,Nanoblock is a stimulating and entertaining hobby material for everyone, especially for grown-ups (recommended for ages 12 and up). 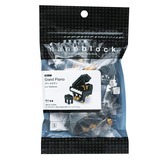 Nanoblock is the world's smallest micro-sized building block, measuring from just 4x4x5mm for a single piece, packs contain varying numbers of pieces. 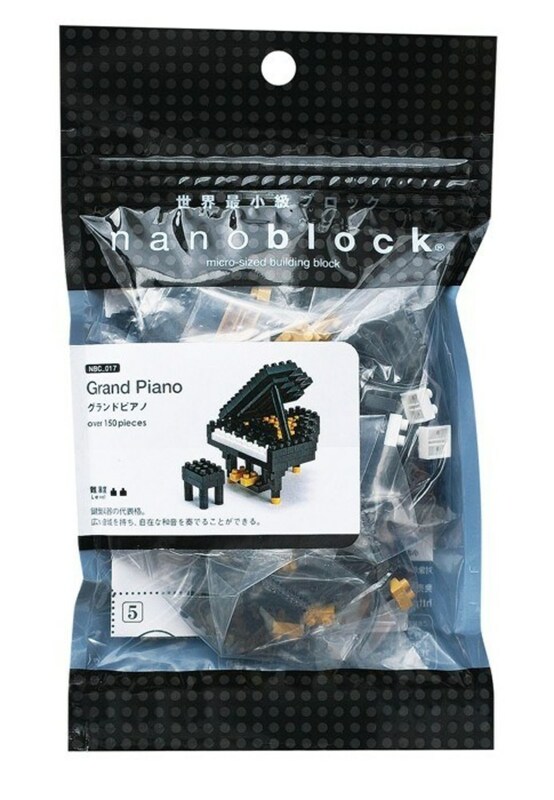 With only 150+ pieces and rated difficulty level 2/5 the sophisticated Nanoblock Grand Piano is the perfect choice for beginners looking to enter or advance in the ever expanding nanoverse! As part of the 'Mini Collection' the instrument has a final size of 4.8cm (length) x 4.8cm (width) x 6cm (height) - a superb addition to any desk and the ideal gift for the creative pianist who enjoys a fun challenge.